Big Data - this word, I believe many people know it. Or "NoSQL". 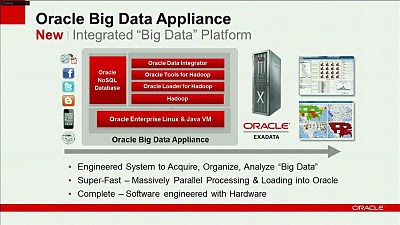 Or Hadoop (The Apache Hadoop software library is a framework that allows for the distributed processing of large data sets across clusters of computers using a simple programming model)Today, Oracle announced Oracle Big Data Appliance. You can Read. The Oracle Big Data Appliance is an engineered system optimized for acquiring, organizing and loading unstructured data into Oracle Database 11g. 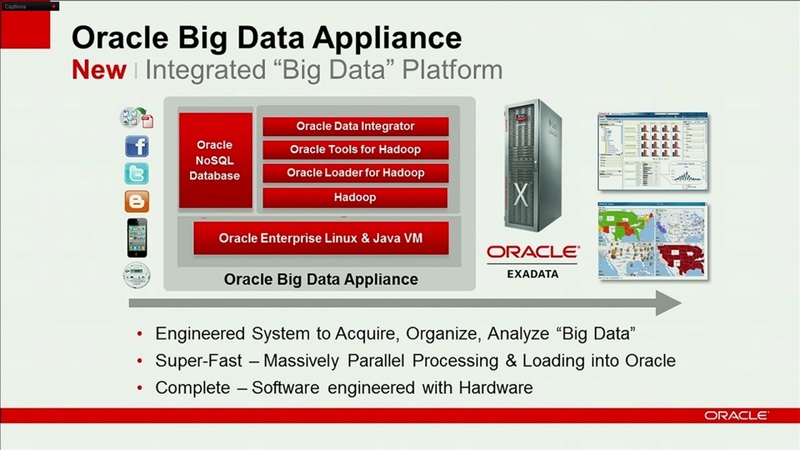 The Oracle Big Data Appliance includes an open source distribution of Apache Hadoop, Oracle NoSQL Database, Oracle Data Integrator with Application Adapter for Hadoop, Oracle Loader for Hadoop, an open source distribution of R, Oracle Linux, and Oracle Java HotSpot Virtual Machine.